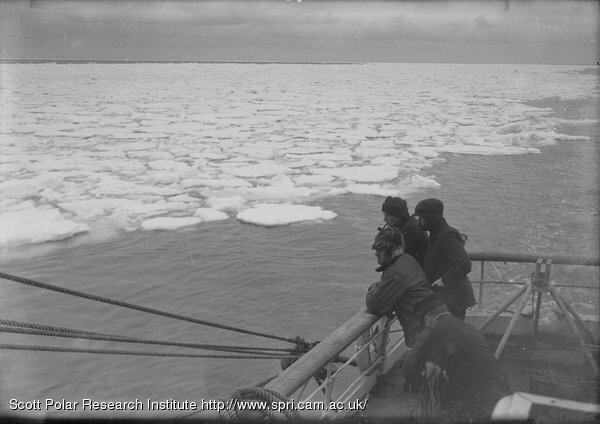 Summary text: Four members of the Expedition stand at ship ‘Terra Nova”s rail, looking out at ice floes which extends to horizon. This entry was posted on Thursday, February 5th, 2009 at 8:04 pm	and is filed under Photos: British Antarctic Expedition 1910-13 (Ponting Collection). You can follow any responses to this entry through the RSS 2.0 feed. Both comments and pings are currently closed.